The Region's Premier Footwear, Fashion and Lifestyle Fair Returns For A Seventh Edition. For the past eight years Sole DXB has been an annual gathering in the heart of Dubai that focuses on fashion, music, art and basketball. Though its name could easily give it away as being just a sneaker-centric event, Sole was much more than that from day one. In fact it was built upon those aforementioned “four pillars” as co-founder Raj Malhotra explained to us. Hosting their first two editions in 2011 and 2012, the founders decided to take a year off in 2013 to shift to the larger format found today. Their current operation includes participating brands who apart from showcasing their latest sneakers and celebrating their heritage, also contribute to the lineup by presenting several artists and/or speakers. This participating brands approach has managed to efficiently secure substantially bigger names to take part in Sole DXB. The likes of Mobb Deep, Skepta, BJ The Chicago Kid, Pusha T, Goldlink, NxWorries have all taken part from 2015 onwards. However the upcoming edition on December 6th to 8th of this year, the fair will host their biggest lineup yet in addition to several exhibitions and talks. “A big portion of the story we’re trying to tell is that there’re three things we work towards. One is we wouldn’t book anyone whose music we wouldn’t listen to personally as owners of the festival. Next is we’ll always try and have a blend between contemporary and heritage so that you’re looking at a wider span of what’s happening in the space of hip-hop, not only where it is today but where it has come from. And we also try and not to pigeonhole ourselves in terms of this being a purely hip hop and RnB event. We look at that tips the scale in the direction of hip-hop, RnB, funk, soul that we think is good for the fair” Malhotra told us. This upcoming seventh edition of Sole will see artists like the iconic rapper Nas, British singer Dev Hynes aka Blood Orange, Masego, Slowthai, Grime dynamo Giggs, South African rapper AKA and a talk by Yasiin Bey formerly known as Mos Def. Other artists on the bill include RnB duo Lionbabe, Abra, Roxanne Shante, DaniLeigh and more alongside Sole DXB regulars and local talents like DJ Clark Kent, Stretch Armstrong and Syrian rapper Chyno. The most notable brand presence in this year’s fair could possibly be Reebok’s, who are contributing to the experience in more than one aspect. Asides from presenting American singer Abra and South African rapper AKA to the lineup, they’re also teleporting fans back to the '90s. This comes in conjunction with Reebok bringing back their original vector logo with the relaunch of their 1993 Aztrek sneakers as well as a new Pyer Moss x Reebok collection that’s about to be unveiled at the event in addition to a talk by the collaboration’s designer Kerby-Jean Raymond. 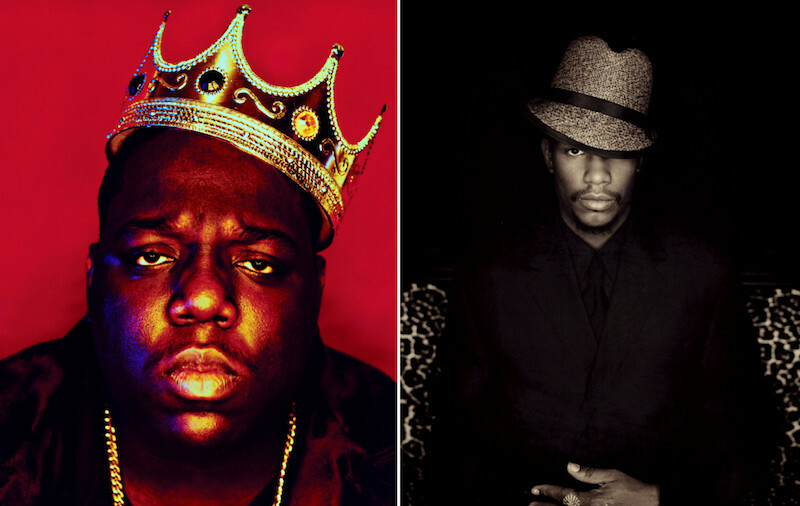 Tying in with their back to the '90s theme, there will also be a special exhibition featuring the original crown worn by The Notorious B.I.G. in what can be called one of hip-hop’s most iconic images. Lucky attendees will get their chance to pose for a picture wearing the authentic crown and get their picture taken by Barron Claiborne, the original photographer behind the image. Vikki Tobak, the author of Contact High: A Visual History of Hip-Hop will also be giving a talk. 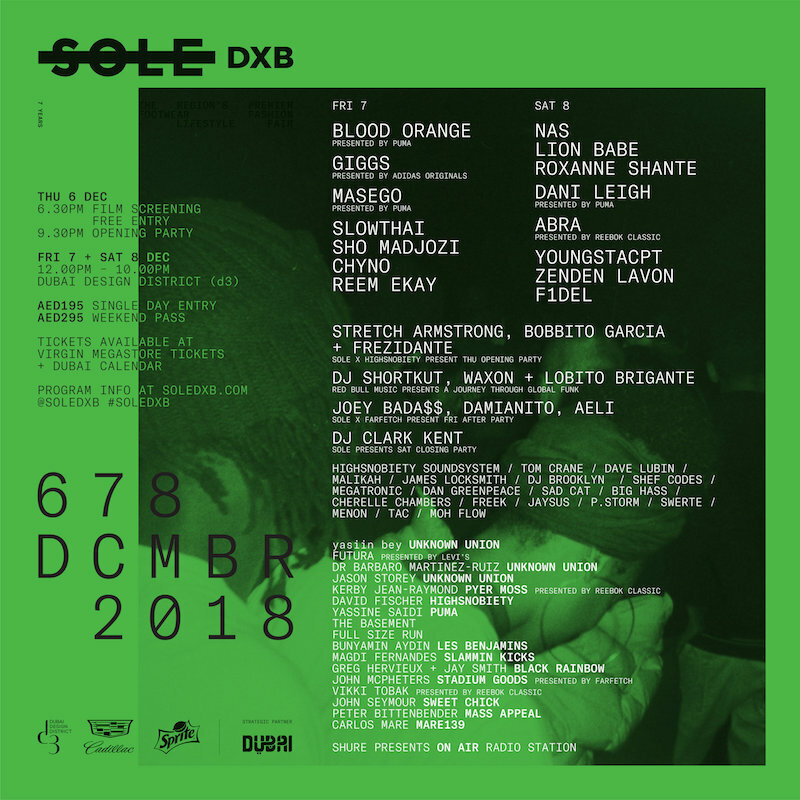 Follow Sole DXB on Facebook, Instagram and head to their event page to get your ticket.